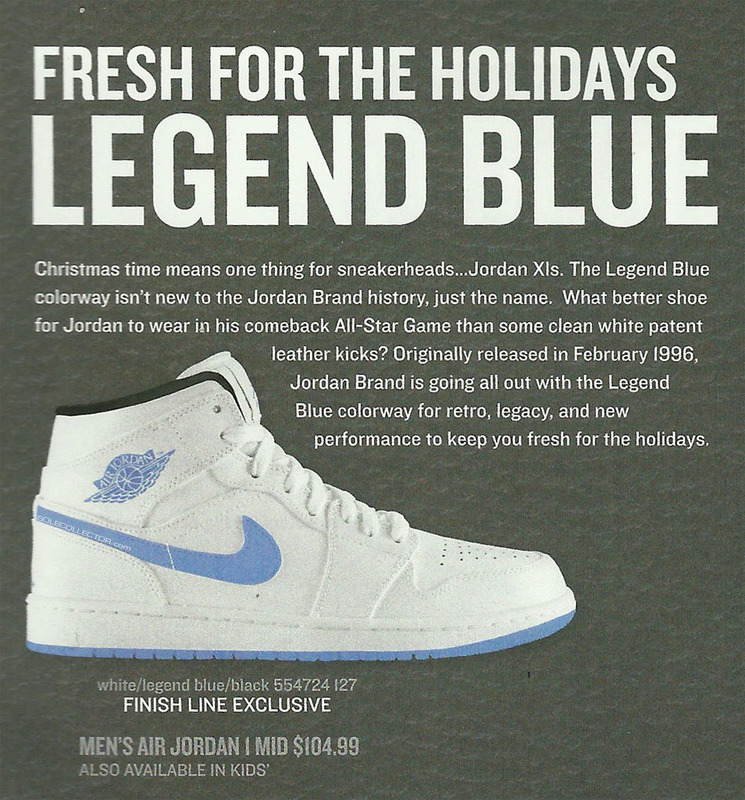 Finishline will be receiving a special Air Jordan 1 for the Holiday season to coincide with the upcoming Air Jordan “Legend Blue” Pack. The Mid sports a white upper with Legend Blue as the main colorway, giving you a special addition for those planning to cop the pack. 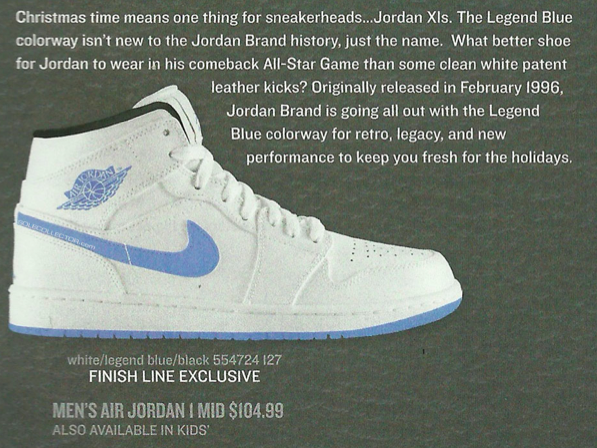 The Air Jordan 1 Mid “Legend Blue” drops in December for $105 Retail.